As everything we own, tattoos represent something about ourselves. They can express creativity, or a tribute to a loved one and bring a story to life. Tattoo culture has been around in the early hundreds, and even after thousands of years, it continues to evolve. But, as we change over time, tattoos that used to represent something important can become obsolete. One of the most frequently heard reasons at tattoo removal centers is: “my tattoo no longer represents who I am.” Luckily, there are options. By far, the easiest and cheapest option is to transform the existing tattoo into something else entirely. Adding to the existing design can evolve something new and relevant. It is no surprise that most people gravitate towards this option. However, one of the main problems is that not all tattoos can be altered this way. Short of covering the whole area with dark ink, there are few designs that can work well. 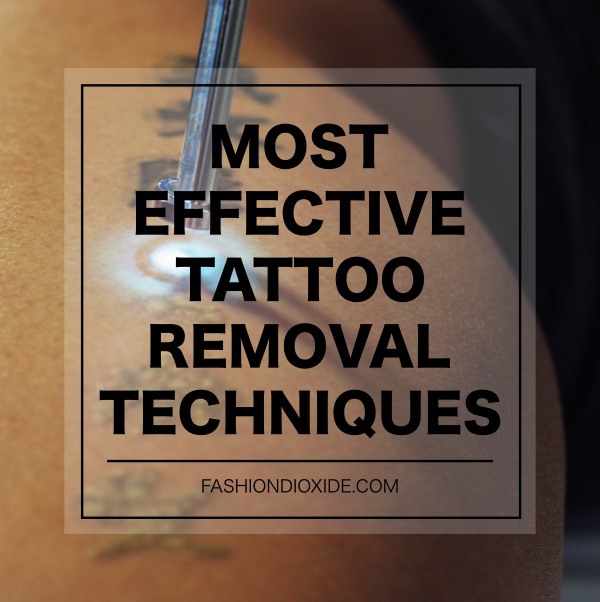 This brings us to the blog topic – tattoo removal options. While creams have an appealing price tag, the results are generally underwhelming. Creams contain acids and bleaching chemicals that are harsh enough to cause skin damage, but not effective enough actually to reach the tattoo. As a result, the tattoo might fade a bit. Often called Skin Exfoliation, it is not nearly as pleasant as the exfoliation at skincare salons that comes to mind. What it does is to essentially remove the top layer of the skin with a fast-moving brush. Well, it is not the worst method to get rid of a tattoo, but the resulting scar and the pain during the process make it one of the least desirable options. Arguably, the most effective procedure for removing a tattoo is through the laser tattoo removal. It is pricey and takes a while; usually, 6-8 sessions spaced about 6 weeks apart. But, the results are worth it. 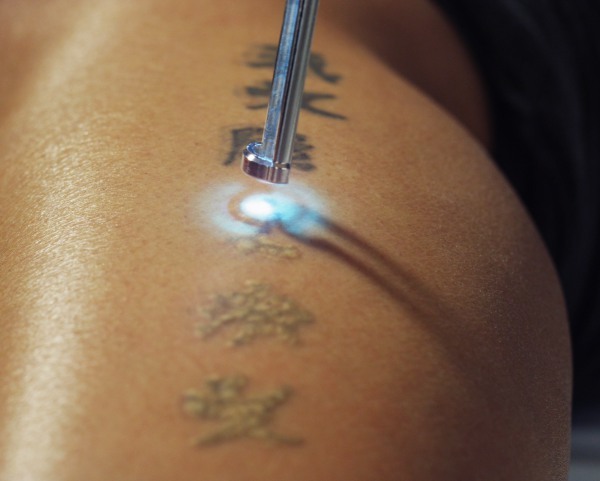 Laser tattoo removal breaks down the ink into minute particles that are absorbed into the body and effectively dissolving the tattoo over time. This process leaves no scarring and can completely remove almost any tattoo. The word ‘overkill’ comes to mind. 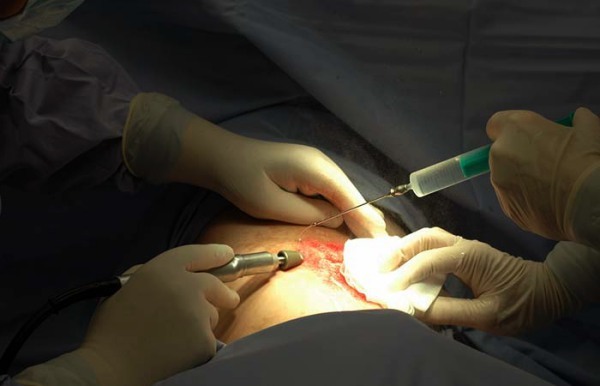 Surgery is an effective tattoo removal method, but the resulting scarring is almost always worse than the tattoo. If laser tattoo removal was not available, surgery is pretty much the only other method that would guarantee full tattoo removal. However, knowing the other option, it is hard to find justification for this one.